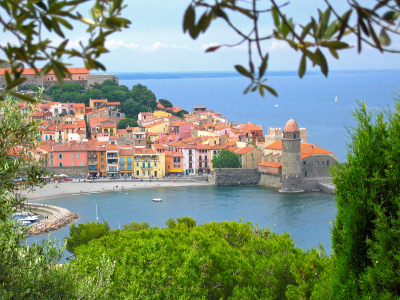 Property Owners: List your Languedoc-Roussillon property on the premier site specialising in French holiday lets. More Info. View villas and gites in Languedoc-Roussillon. One of the best ways to experience France is through a gite holiday, and gites in Languedoc-Roussillon are no exception. Just like Languedoc-Roussillon villas, they are well appointed and have a reputation for comfort. Holidaying in a gite or a villa allows you to come and go as you please, thereby making the most of your precious time. Fresh water anglers should head for Lozère, as it’s reputed to be one of the very best areas in the country for trout fishing. The River Tarn and the River Lot come highly recommended, as does the River Truyère. The area is also good for caving enthusiasts and those who like to indulge their passion for kayaking and other river sports. At the other end of the region, go for a ride up the Pyrenees on the renowned Little Yellow Train. The journey starts at Villefranche de Conflent and rises through some dramatic scenery until it reaches its summit at Bolquère Eyne, the highest railway station in France, 1,592 metres above sea level. From there, it’s downhill all the way until the train reaches its final destination at Latour de Carol. This metre-gauge electric railway has been operating since 1909 and is considered to be one of the greatest railway journeys on the planet. The medieval village of St. Guilhem le Désert, lying in the Gellon Valley, slightly to the north of Gignac, has managed to retain its personality over the years. Home to just 250 people, it’s a beautiful, tranquil experience for the stressed-out traveller. With its old amber-stone houses, a shady square, complete with fountain, narrow streets, an ancient tower and traditional plain trees, it sits quietly by the Verdus stream, surrounded by cliffs that are green with oak, pine and thyme. A number of artists have taken up residence in St.Guilhem, and their studios can be found in and around the square. There’s also a Visigoth castle overlooking the village, while its ancient abbey used to be a staging point for one of the pilgrimage routes to Compostella in Spain. Languedoc-Roussillon cuisine is very much influenced by the Catalans. This can be seen in such dishes as Brandade, puréed dry cod in beet leaves, and Morue à la Catalane, a recipe of cod, tomatoes, anchovies, garlic and olive oil. Snails are popular and plentiful. Again, they are prepared the Catalan way, being sprinkled with salt, pepper and herbs, and then grilled in their shells. Given the region’s location, it’s unsurprising that seafood plays a significant role in the pleasures of the table. Sea bream, red mullet, squid and mussels are all available, and they're cooked using locally produced tomatoes, olive oil, garlic, onions and herbs. Meat lovers should be sure to try Gardiane, a very popular beef stew made with red wine and served on a bed of rice. In an area famed for its wine production, it’s just a question of white or red, depending upon what you’re eating, as there are so many excellent vintages, you can’t go wrong, whatever you choose. View gites and villas in Languedoc-Roussillon.